Guys who are skinny are skinny for either one of two reasons. Consuming food is easy, while consuming nutrients takes dedication. Because most underweight males are at their weight due to lifestyle choices, we should focus on certain quick fixes to help gain some success and confidence. First I will discuss a few quick fixes, then I will relate the reasons why it is fundamental to create new eating habits. This is simple and it should be happening at least 6 out of every 7 days. Sure I can speak for days as to how breakfast enhances human metabolic processes… but you just need to do it. Okay, so the first two MOST IMPORTANT THINGS YOU CAN DO are both related to breakfast. That should give you a glimpse as to how extremely valuable this time is for your body. You cannot rush through breakfast and expect to have healthy digestion and consumption. Go to bed 20 minutes earlier the night before if you must. To gain muscle mass, you want to increase the energy storage within the muscle. Carbohydrates, particularly glucose or food that readily converts into glucose are the muscles preferred sources of energy. This guy understands the benefits of healthy carbs. As muscles adapt to training stimuli, the overall amount of glycogen stored within the muscle will be increased. Let me put it this way: The more lean, athletic muscle you possess, the more carb-based energy will be stored within the muscles. This is one reason that gives the muscles a larger physical size/appearance. It also means you have the potential to be more powerful than most other people. Protein contains bonds of amino acids which are essential for the body. Powerful body-strengthening mechanisms are activated by protein. After your workout, your muscles will be increased sensitivity to uptaking carbohydrates and glucose. When the muscles uptake glucose more readily, it has a carryover effect of uptaking protein as well. In other words, carbs help attract muscle building amino acids into the actual muscle tissue. Some people eat Wild Alaskan Salmon three times per week — and they might not need an Omega-3 supplement. However, most people, especially skinny guys NEED the nutrients and will utilize Omega-3’s to support anabolic processes. You will cripple your progress unless you consume adequate omega-3s. A lot of people talk about the health benefits of Omega-3 fatty acids — I know all about them. If you want to know more, google that. Let’s talk about the MUSCLE BUILDING and ANABOLIC properties that omega-3’s possess. Regardless of genes, your lifestyle is the reason for why your body looks the way it does. In order to enhance the muscularity of the body, you must also enhance the internal health. I take a strong holistic approach towards gaining weight in a healthy way. You must pay attention to the bio-feedback and signals from your body in order to truly achieve a state of wellness. Coping strategies. Example… health = exercise. Unhealthy = smoking / drinking. Muscle mass must be earned, every day. every week. and every month. The best things in life don’t come for free. The requirements to achieve greatness will always come with sacrifice and character building opportunities. You can choose to make excuses… or you can force mental adaptation (lifestyle change). For the other 164 hours of the week, you need to be owning up to habits which promote healthy metabolic functioning. And in your case, that means forcing physical adaptation through recovery methods (sleep, nutrition, unstress, and soft tissue work). Stay tuned for the next post for an Exercise Routine to help the skinny guy. The Fat Loss client comes in many forms, but something so primary connects all of us together. It is to have felt the urge. The desire from within making us aware of our imperfections, to be understood in each unique way. Now there’s something that can help, so empower yourself with knowledge. Research + Fieldwork = The Top Supplements for Fat Loss. Fish oil, almost entirely comprised of healthy polyunsaturated fats is a real boost for our biology. Break it down to the body at a cellular level. Now chunk back up and take some Omega-3 Fish Oil. As the fish oil gets absorbed into your body, individual cells can now thrive. Multiply that cell by 100 trillion, and you now have 100 trillion individual cells supporting your every thought, move, and function. Fish Oil Prevents Heart Disease. This statement is backed up by pure Fact, as true in scientific research. Healthy heart power is key to fitness! Fish oil promotes healthy joints and efficient use of carbohydrates for energy. Take more, see what happens. Body composition typically improves noticeably for people taking up to 5 grams of fish oil per day. For guys, body composition changes will give you that wide shoulder look and a more tapered waist — adding to that V-Shape appearance. Even if no pounds reduce, women with better body composition can improve their hourglass curves in just the right areas. Eat fish twice a week, or get yourself an Omega-3 Fish Oil supplement from a well-reputable brand. Out of all protein sources available, no source is as nutrient-dense and versatile as Whey Protein. Whether you’re a seriously active person or a gastric-bypass patient, Whey Protein is a natural way to elevate quality of life. Animal protein and Whey protein both supply essential building blocks for the body, but Whey has less of a digestive price tag than meat. Good digestion promotes good weight loss. Weight loss is supported by the naturally occurring health antibodies found in Whey Protein. Whey Protein Strengthens the Body. So now you know what whey protein is, you just need to know where Whey Protein is. To recover muscles after your workout, the protein shake. To be fit, you need premium snacks. A luscious Spring fruit smoothie. You can do anything you want with Whey Protein, whenever you want. Whey Protein promotes good ol’ fashion lean muscle. Thats how You Burn Fat and keep Muscle Tone. All of this evidence supports Whey Protein as the King of Protein. What happens when naturally occurring caffeine meets super power antioxidant? The healthiest natural thermogenic fat burner on the market! 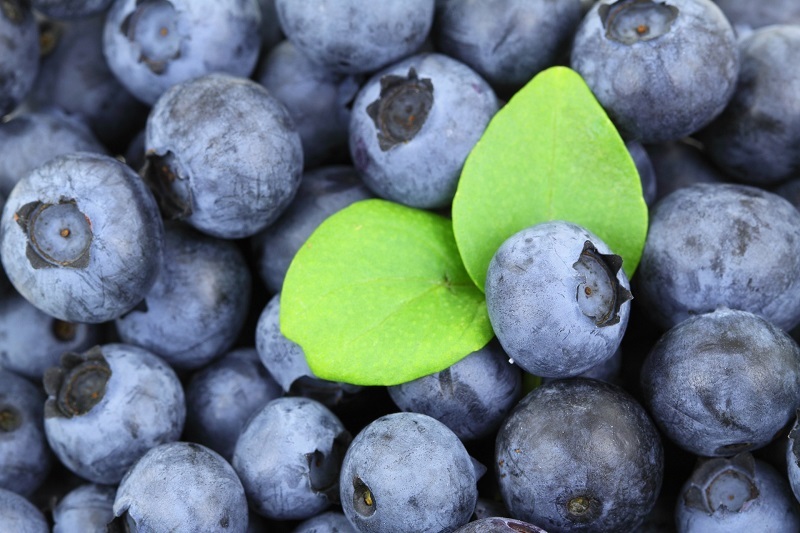 Antioxidants protect skin, hair, eyes, muscles, and heart from damage. Moderate amount of caffeine gives your metabolism some extra juice. The taste and aroma of Green Tee is full of memories from my childhood, so I do enjoy a cup. Even so, the capsules are very convenient. These three supplements are some of the most powerful health boosting products available. All of these supplements have proven qualified health claims, in addition to dozens of credible testimonials. If you want to improve your health and lose fat simultaneously, make these three supplements a regular part of your daily routine. Especially with the sunny season right on the horizon. What makes these MUST HAVE Supplements? Nutritional deficiency leads to suffering, while nutrient abundance promotes actual vitality. For the young, suffering from nutrient deficiency may go on mostly unnoticeable. But as the decades rage on, their bodies deteriorate. What if you can stop this? What if you could make your body even better? While oily fish are known for their high concentrations of Omega-3 Fatty Acids, this essential fatty acid also grows in various plant forms. The problem is that most people cannot consume two wild fish filets per week, every week, for the entire year. Yet, that’s how our ancestors evolved — both cavemen and the J-Man ate fish. Omega-3’s are high quality oils that the cells in your body adore. Strong cell walls turn into a more robust system, and that efficiency promotes everything from brain functionality to sexual functionality. We’re talking cardiovascular and circulatory health of course. Reinterpret WHY to GOTTA HAVE. Omega-3’s are essential fatty acids. It cannot be produced by the body and must be achieved via digestion of omega-3 oils in some form. 1,000 mg capsules of Fish Oil or Flaxseed Oil. Take 4 per day in split doses with meals. Now go forth and enjoy healthier skin, happier joints, and a cardiovascular system that fine women shall adore. My fine reader, this is the sun vitamin. In the summer time, your skin synthesizes the Vitamin-D3 and nearly every cell in your body has a receptor site for it. It’s a vitamin and a necessary prohormone — precurser to healthy hormone balance. With Vitamin D, people face each new day with open arms. As a king, Vitamin-D3 stands on top with regard to Bone Health. Without D, you’ll have trouble absorbing calcium, and therefore weaker teeth and bones. It is most well known for bone health. But what other people don’t realize is that it plays a role in weight loss, performance, vision, metabolism, and so much more. Chances are, you’re not getting enough. In fact, 70% of kids are deficient, and they spend more time outdoors. 2,000 IU dose of Vitamin-D3. Take one per day. To recap, Fish Oil and Vitamin D for vitality. For all of your other needs, unless directed by a medical professional, I invite you to shop the raw produce aisle. If you still have money left over in your supplement budget, there are thousands of opportunities to help you reach your goals. Some will endow you with fantastical results, while others barely raise an eyebrow. Either way, start with the essentials and build up — a strong foundation keeps you on top. How did humans get so smart in the first place? Being labeled a fat-head may actually be a compliment. Our brains are primarily composed of fatty tissues responsible for cognitive function. Without healthy fats from our diet, our brains are unable to run at capacity — this may be the reason for ADHD, alzheimers, schizophrenia, or other brain-nervous system disorders. Humans evolved superior intelligence by dominating the food chain. The nutrition available to people at the top of a food chain is vast — choosing to eat both plants and animals expands nutrient uptake. Both the abundance and wide variety of nutrients fueled the evolution of the human brain, and therefore our intelligence. From the sea bottom, algae absorbs nutrients from the water and energy directly from the sun. These small organisms produce high quality nutrients, especially the Omega-3 fatty acid known as α-linolenic acid. Alpha-linolenic acid (ALA) is known as the “vegetarian” source of Omega-3s because many plants can synthesize this particular type of fat. 2. Small fish act as factories and healthy fat processors. Small fish like sardines and menhaden continue the brilliant cycle of life by converting Alpha-linolenic acid (Omega-3) into the next forms of Omega-3, EPA and DHA (Omega-3). Beginning with Alpha-linolenic acid (Omega-3, ALA), fish utilize a process to transform more fat into eicosapentaenoic acid (Omega-3, EPA) and docosahexaenoic acid (Omega-3, DHA). Unlike humans, these fish are very efficient at converting Omega-3 from the ALA form into the higher EPA and further on to DHA. But not all fish are good at converting ALA into EPA. In fact, larger fish like Cod rely on eating smaller fish in order to provide them with the readily available Omega-3 in both EPA and DHA forms. Humans cannot easily convert ALA from plant sources (such as flaxseed) into EPA or DHA. This is why eating fish and using fish oil supplements is generally regarded as superior to flaxseed for Omega-3’s. Millions of people still rely on seafood for the majority of their diet, a trend that has continued over hundreds of thousands of years. Why? Seafood is one key to a healthy brain, nervous system, and skeletal-muscular system. The theory of evolution argues that humans developed such powerful brains because our ancestors established reliable food sources for brain power — primarily fish. While you may picture humans living in the African savanna, most populations settled near rivers and coasts in order to consume large amounts of fish. Aside from the protein, fish provide higher amounts of Omega-3 EPA and DHA than any other animal in the human diet. As a result of heavy fish consumption, our ancestors had an excess of nutrients — vast nutrients to evolve more complexities to our brains. The major disease of our time, such as heart disease and arthritis, are diseases of inflammation. Due to diet and poor lifestyle habits, chronic inflammation degrades the arteries, joints, and tissues in the body. This ultimately results in pain and disease. EPA (Omega-3) is known as the anti-inflammatory oil. The natural compounds in EPA (Omega-3) protect arteries by smoothing the lining, provide anti-inflammatory relief for the joints, and maintain healthy tissue in the body. 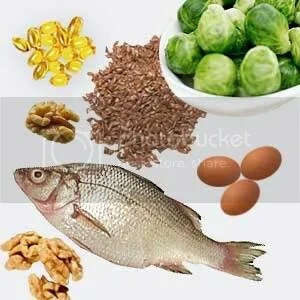 From a brain standpoint, the other fatty acid, DHA (Omega-3) fulfills vital functions in the cells. In fact, 90% of the omega-3’s in your brain are DHA — just imagine how much brain power you lose if you don’t get enough DHA from your diet. Moreover, DHA (omega-3) provides essential lubrication and protection for the cells in your retina (the eyeball is an extension of your brain), so if you value your vision, you will eat your fish. Even though society has innovated technology to produce food for billions of people, we are more undernourished than ever. We need to get in touch with the successful diet of our ancestors — we must move forward to a time where diabetes and heart disease no longer threaten the soul of a nation. Real health comes from the inside out, and you truly are what you eat. While it may seem funny to consider the health of each individual cell in your body, it is true that the healthier your cells, the healthier the YOU. EPA and DHA (Omega-3’s) are utilized by your body in millions of individual cells, in the arteries of your body, and in the membranes of your very being. To regain what our ancestors worked so hard to evolve, we can consume a simple fish oil supplement. Healthy cells make for a healthy person. Typically we pass on health professional’s recommendation of 1,000 mg combined EPA/DHA per day. This is usually two to four capsules depending on the concentration. Personally, I consume up to 6 grams combined EPA/DHA per day, but I also drink Cod Liver Oil from the bottle. We here at Ellison Fitness wish you the best for quality of life, and truly believe in the vital importance of EPA and DHA (Omega-3) in every healthy diet. Unless you consume oily fish two times per week, we urge you to supplement with Fish Oil. Lack of Omega-3 fatty acids is responsible for 84,000 preventable deaths in the U.S. Pause for a moment and think about the last time you ate wild fish. Now, notice how long ago it’s been. If you haven’t consumed it within the last week, you’re already missing out on the NECESSARY, VITAL-TO-LIFE, YOU-REALLY-OUGHT-TO-HAVE-IT potential benefits. Why don’t I get enough Omega-3 in my diet? Well, first of all, that’s a personal question. More importantly, the primary issue relates to the Standard American Food System — and how it may be stripping you of life. Your Beef is fed off of grains and corn instead of grass — no omega-3s. Your Salmon is harvested in factory conditions — no omega-3s. And you’re still reading this blog — you definitely need omega-3s. Omega-3’s are essential fatty acids, meaning that your body REQUIRES this type of fat to LIVE. Students who eat more wild fish perform better in every academic arena — INCLUDING Physical Education. Most Americans are getting enough QUANTITY of Fat, but not enough QUALITY of Fat. In fact, the key to improved health has less to do about total fat consumption as it does with balancing the ratios of Omega-3 to Omega-6 in your diet. And whats bad about Omega-6 fatty acids? I can almost guarantee that you are getting way too much Omega-6 for your own good. It can be found in vegetable oils, and nearly all commercial meat. Peanut butter is also primarily Omega-6. On the other hand, Walnuts contain Omega-3s. There’s nothing inherently bad about Omega-6, because you also need this type of fat to survive. Aside from some health benefits, excess Omega-6’s typically promote inflammation (leading to pain and disease), whereas optimal Omega-3’s are anti-inflammatory (leading to pain relief and healing). Balance is key, 1:1 ratio is preferable. Supplement with pure Fish Oil or in Capsule form, buy at any supplement store. Aids in neurotransmitter process, making you smarter and reducing risk of becoming depressed. Reduces risk of macular degeneration, for keeping eyes healthy and lubricated. In sum, Omega-3’s are essential in healthy arteries, strong brainpower, organ protection, and overall vitality. There’s really no excuse for not STARTING TODAY! Aids in neurotransmitter process, making you smarter and reducing risk of depression or ADHD. Fish oil has given me strength, quick wit, and quality of life. I appreciate the fish for their existence, as it improves my own. Joy to the oceans below.